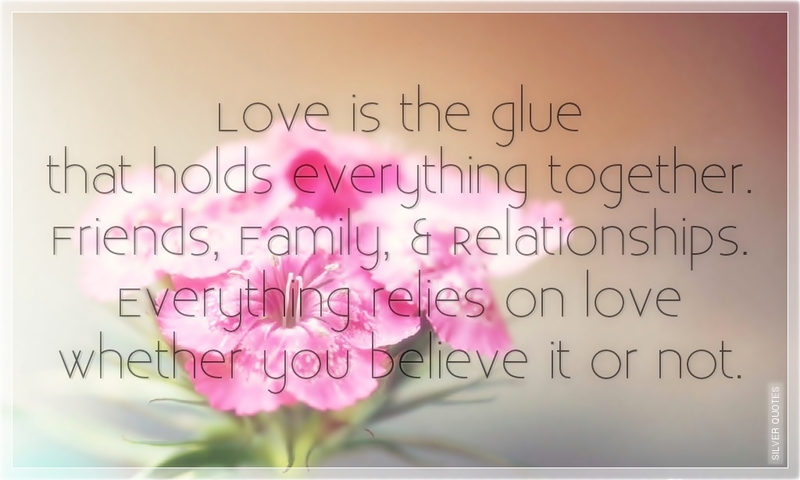 Love is the glue that holds everything together. Friends, Family, & Relationships. Everything relies on love whether you believe it or not.